Bedrest Boutique: DAY 32: "It's Gonna be Fancy, Mommy"
"Look Mommy, now you have a beautiful one!" How could I ever be in poor spirits when I am getting this kind of treatment? 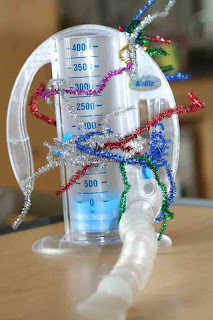 Do you know of anyone else with a decorated spirometer? I didn't think so! Madonna has one made out of teak. Got to love that kid's sense of style! i found your blog through sidelines. 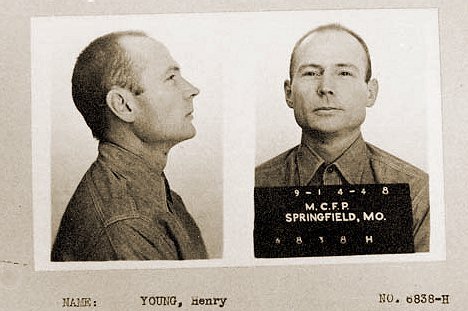 i am a little hesitant about posting, either here or on sidelines, because my blog is pretty dark. so many people at sidelines, yourself included seem to have such positive attitudes, i wouldnt want to be like that dark cloud of a doctor that you have. but anyway, i was reading your blog and am wishing you well in the LONG process of incubating your baby. i'm currently on modified bedrest and am at 25 1/2 weeks. i spend a lot of time exploring the blogs, reading, knitting. i was thinking about starting with computer games like mah jong but i dont want to spend all my time zoning out on computer games. i was curious how you ended up in the hospital. you mentioned an u/s so i am gathering it was a short cervix. how long will you stay? that sounds pretty intense to say the least. i occasionally remind myself how temporary the pregnancy is and how worth it is to stay on the couch in an effort to keep our baby safe. the effects of my bad outcome will stick with me forever but i'll forget about the stresses of bedrest as soon as i hear this baby cry. take care. My story started at about 17-18 weeks when my doc put me on 50% bedrest requiring that I cut back at work and at home. Two weeks later, I was starting to feel some pressure and some tightness after being at work for about 3 hours. I went in for an u/s and he immediately admitted me to the hospital. The main reason is a very short cervix (6mm or .6 cm). I do have a cerclage so that has been my saving grace. I am currently 24 1/2 weeks and I'm not sure how much longer I will have to stay. I am hoping in a couple of weeks I will get to go home. It is reminders like yours "the effects of a bad outcome will stick with me forever but I'll forget about the stresses of bedrest as soon as I hear this baby cry" that keep me going. I found your blog and I'm so sorry to hear about your past history. I admire your courage and resilence. Love the "hollandness" of your spirometer. Wanted to tell you that I have LOT to tell you, but will have to wait until tomorrow. Another week down, welcome to Monday! Talk to you soon. Hi Ashley. Happy Monday. I bet if you and Jonathan both blew in your wonderful contraption, he would register a great deal more hot air than you:-) Teasing Jonathan. Almost 25 Ashley. Keep up the amazing work! Fortunately for me that thing doesn't measure output of B.S.